Whether you’re hosting a large affair or a small, intimate gathering, the details of your event are crucial. Your guests may not remember every last detail, but they will remember how all of the details came together to create a moment. One of the most important aspects of any event is the location, and choosing the perfect spot to host your event is one of the first steps in the planning process. Being in the biz, we’ve learned a thing or two about events and wanted to let you in on some creative locations for your next event. Take advantage of our breathtaking beaches and have the stunning Southwest Florida sunset be the perfect backdrop at your next event. Simple décor and lighting, accented by the sheer beauty of the coast gives your guests the feeling of complete tranquility and relaxation. The beauty of beach events is that they can be casual or extravagant. Anything is possible when you’re at the beach. Wow your guests and give them that moment they’ll never forget in one of nature’s most pristine settings. Southwest Florida is home to so many amazing beaches. Try the beautiful scenery at Moorings Beach Beach Club the next time you’re thinking of a beach event. If you’re a bit Extra: Island hop! Ferry your guests to an island destination untouched by civilization. Naples’ famous Keewaydin Island is a good place to start. Incorporate fun garden activities, such as croquet and horseshoes to get your guests involved and keep them entertained. Parks are also lovely settings for events, large and small. Take a look at Cambier Park in Naples for your next soiree. There’s nothing like dining on calm, open waters. The gentle rocking of the boat, paired with the fresh, salty air makes events on board a yacht simply magical. 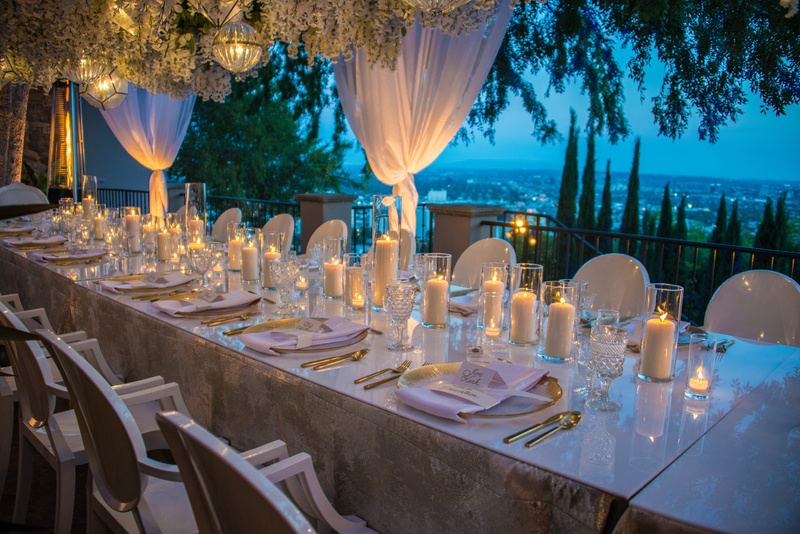 Take your next event to the next level with extravagant details, high-end cuisine and lavish cocktails. Events aboard a yacht simply impress from the moment the first guest embarks on the journey that you created. Many event spaces cater to any style of event, large or small, and can customize their space to meet the needs of your guests. Look for an event space that can be transformed into the look that you desire and is equipped to handle your every request. Your event should be seamless, and the last thing you want to worry about is every little detail. You want to be able to enjoy your party with your guests and make memories together. Ensure that the event space you choose can ensure this for you. If you like next-level excitement: Keep the location a secret! Have your guests arrive at a public place for a welcome cocktail, where they will receive their VIP instructions for the secret destination. Goosebumps! When it comes to events, it’s all about location, location, location! Add that wow factor to your next soiree and think outside of the box when it comes to impressing your guests. Find the perfect place that speaks to you and don’t be afraid to get creative. Keep your guests talking about your event for years to come…it all starts with the perfect space. From the beach to at home, on the boat to virtually any venue, Crave Culinaire can prepare a delightful menu that will wow your crowd. Call (239) 292-1529 or visit www.craveculiniare.com to get in touch today!